We are proud to present a new Editor Extension: Navigation2D. 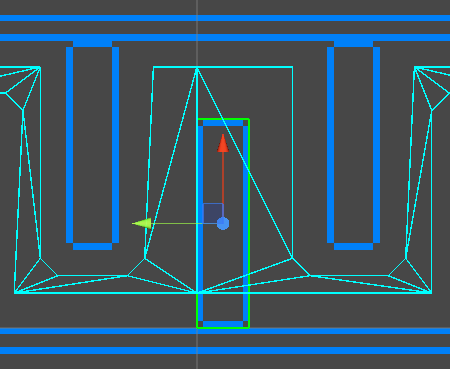 Navigation2D uses Unity's builtin Navigation system to make 2D Pathfinding possible without any axis rotations. Note: we can modify the width of the mesh by using the Agent Radius property in Unity's built-in Navigation settings. Note: we can modify the Agent settings just like in Unity's built-in NavMeshAgent. 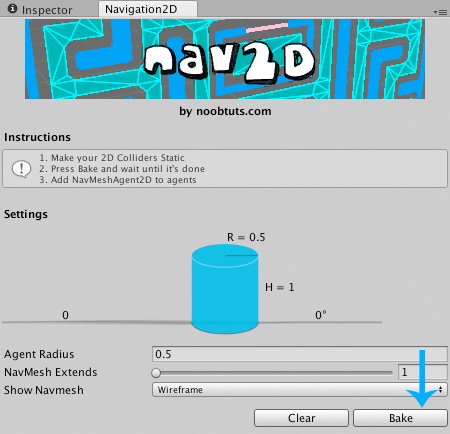 Navigation2D supports a few more advanced features that we will cover here. Make sure to adjust the Center and Size properties until they fit our Sprite. 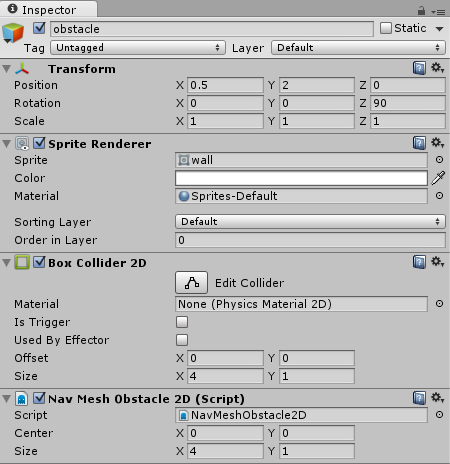 If you already have a BoxCollider2D around your sprite, then simply use the same values that the collider uses. Note: in other words, the area at the obstacle is now walkable by default, it only becomes unwalkable if our NavMeshObstacle2D moves there. Note: in order to respect Unity's Asset Store agreement, Navigation2D is not part of the noobtuts Premium files right now.